Modernise the way you work. We are modernising the way NHS Trusts book professionals. We deliver a unique and independent, mobile-enabled platform that allows NHS Trusts to search and book off-payroll workers, no matter their employment status; Bank, Substantive, Direct Engagement or even Agency. The platform is proven to drive down costs by providing greater insight of availability, increasing efficiency when booking staff, reducing dependency on agencies. By providing this access to all employment types on a single platform, NHS Trusts can reduce their dependence on Agencies, returning the relationship to its original purpose, providing high quality emergency cover when all other avenues have been explored. IndexR is proven to increase Trusts fulfillment rates by more than 20%. 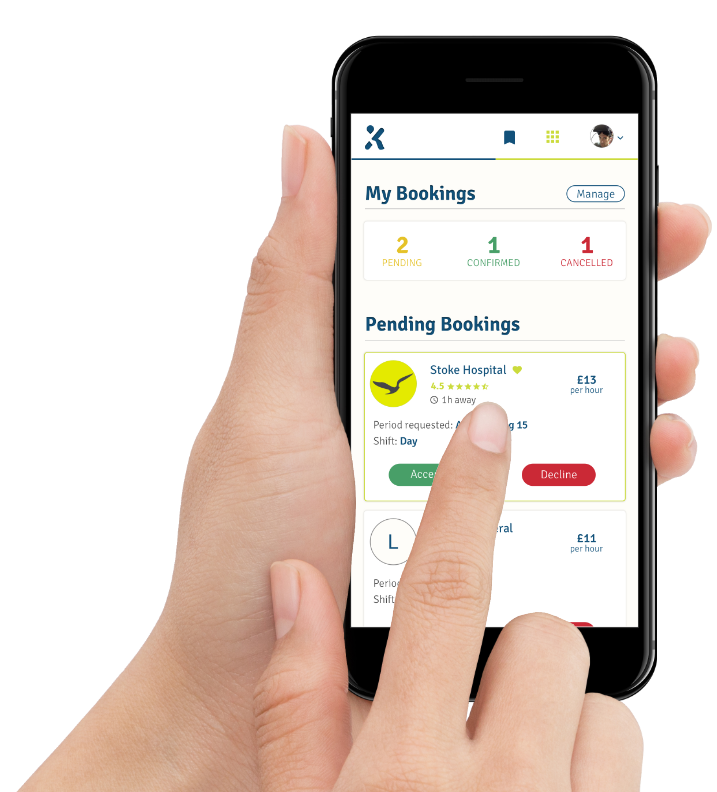 On-boarding, booking and paying staff is made more efficient using the IndexR app creating time savings at every step of the process. Our Mobile App ensures you never miss a job by sending instant notifications to you, directly via your chosen device, wherever you are. Simply set your preferences in your profile along with your availability to work. Using our technology, hiring managers can quickly source locums with the right profile to fulfil their immediate or future demands. We provide an intelligent search engine, automatically providing recommendations directly tailored to your needs. Our software ensures a “Bank First” approach is adopted throughout all of the Trust’s staffing teams. The bank is the most efficient and least expensive way of filling Rota gaps. We do this by amalgamating multiple NHS Trusts Banks facilitating framework agreements to create regional Community Banks that hold a significantly larger staff pool. By sharing an instant view of availability and having a view of all locally available staff, the chances of filling Rota gaps with Bank staff are increased.